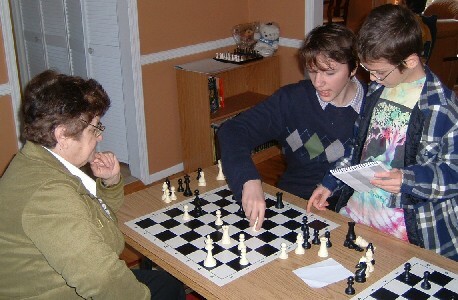 On November 19, New Jersey K-12 Grade Championship was held in Lincroft, NJ, in 13 sections. 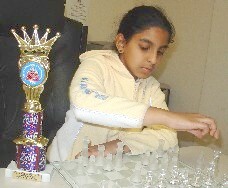 Our students participated in many sections of the Championship and showed very high results. 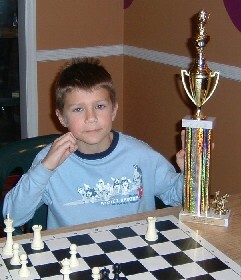 2006 New Jersey Champion in 10th-grade section ! 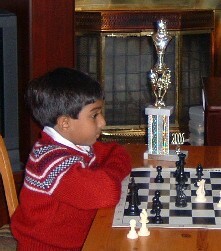 2006 New Jersey Champion in Kindergarten section ! 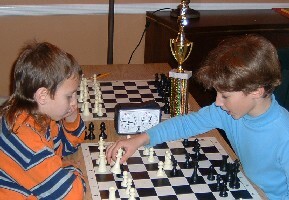 There were 34 players in the competition of 3rd graders. got 4 out of 5 and was awarded with 4th place trophy ! with 4 out of 5 ! Arjun Rajkumar got 10th place trophy with 3 out of 5 ! 3 points in 5 games ! 6 victories in 7 games! 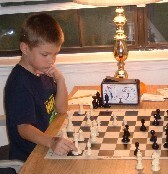 All participants of Westfield December Scholastic Tournament played in one competition, best players of each age group (K-2, 3-5, 6-12 grades) were awarded with trophies. 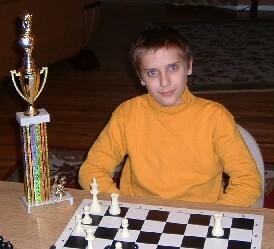 Roman Rychkov with 3.5 out of 4 shared the 1st place in absolute tournament ! 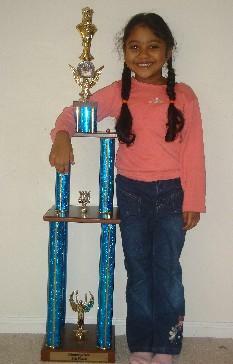 was awarded with 1st place trophy in 3-5-graders section! 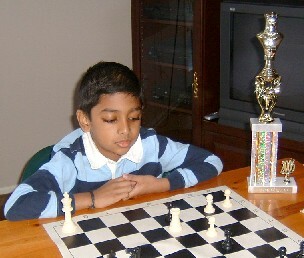 successfully participated in Novice I section for the players with rating below 600. 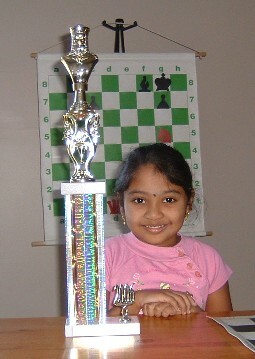 Mathuchena got 3 out of 4 and was awarded with the trophy. 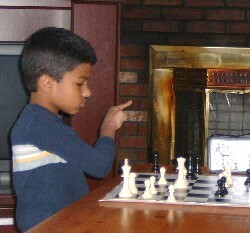 Lavanya Nagappan participated for the first time in Novice II section for players with USCF rating below 800. Our congratulations to all our students and their parents!